Much has been written about the pivotal nature of the contest between Leonardo da Vinci and Michelangelo, contracted by the city of Florence in 1504 to execute paintings of historic battles on adjacent walls of the Palazzo Vecchio. These projects were never finished, though surviving accounts relate that even the preparatory cartoons attracted the admiration of many that beheld them. It is not possible to describe the invention that Leonardo showed in the garments of the soldiers, all varied by him in different ways, and likewise in the helmet-crests and other ornaments; not to mention the incredible mastery that he displayed in the forms and lineaments of the horses, which Leonardo, with their fiery spirit, muscles, and shapely beauty, drew better than any other master. It is said that, in order to draw that cartoon, he made a most ingenious stage, which was raised by contracting it and lowered by expanding. And conceiving the wish to colour on the wall in oils, he made a composition of so gross an admixture, to act as a binder on the wall, that, going on to paint in the said hall, it began to peel off in such a manner that in a short time he abandoned it, seeing it spoiling. Despite this account, the collaborative efforts of scientists, archivists and art historians provide evidence suggesting that Vasari may have acted to preserve the painting. The first clues for this arose in the 1975, when a young engineer named Maurizio Seracini joined famed Leonardo scholar Carlo Pedretti in a search for the lost Leonardo mural. Seracini's introduction of scientific apparatus used in law enforcement, military and medical applications was ground breaking in the study of art. The initial findings of these investigations were limited by the technology of the day, yet did establish that the Palazzo Vecchio wall fresco executed by Vasari and his workshop assistants contained a painted inscription with the words Cerca Trova or seek and (you shall) find. This was the first spark of evidence that ignited a search for this piece that continues to this very day. Below is a clip of the wonderful 2006 documentary by Darlow Smithson Productions. 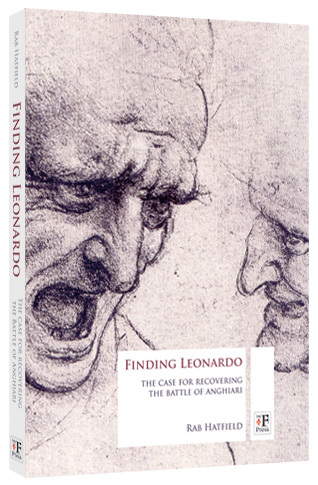 It provides an excellent summary of the research behind the search for the Battle of Anghiari. 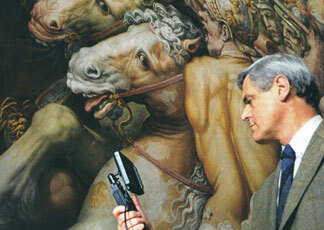 This brings us to present day, and the latest chapter in the search for Leonardo's lost masterpiece. 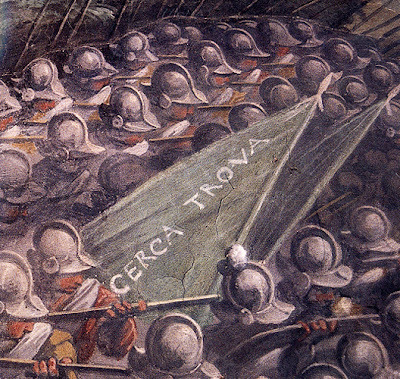 Although Seracini's previous research had highlighted a variable gap behind the wall on which the Vasari fresco was painted, a breakdown in negotiations between Seracini and Florentine officials resulted in another standstill on work and funding into the project. 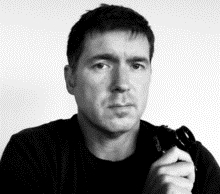 Entering into this great drama is Dave Yoder, an award winning photojournalist now based in Milan, whose work has featured in National Geographic, The New York Times, The Wall Street Journal and Fortune magazine. Enchanted by Seracini's findings, he embarked on a quest to reveal whether Vasari did indeed preserve Leonardo's mural for posterity. One of the greatest challenges facing this approach is the high asking amount: $266,500 USD - with this target being the amount required to allow development/construction of a camera which can detect pigments through layers of overlying stone, concrete and plaster. Being greatly interested in this fascinating interface of art, science, and web based initiatives for their promotion, 3PP sought answers to questions which had not yet been answered at the project page or the accumulating number of reports from around the globe. 3PP: Vasari's own account describes the disastrous effect Leonardo's experimentation with binders. Executed in oils, the pigments were already peeling and spoiled not long after they were applied, and could have only worsened by the time Vasari published the second edition of his Lives in 1568. Would it not be better to search for underdrawing (the transfer of the cartoon) likely executed in charcoals or lead rather than for pigments? DY: I’d like to preface my responses with notice that I’m a photojournalist with no formal education in art history or science--I’m not trying to pass myself off as anything more than an engaged enthusiast. Vasari’s account, written before he was commissioned to remodel the Hall of 500, is problematic, but if you take into account Vasari’s inconsistent reputation for accuracy, I believe there is sufficient room to question whether it is irrefutable. Even his description in that same passage, for example, when he writes about the cartoon of the painting, appears to be inconsistent in that he mentions a red cap. As I understand cartoons, there would be no colors other than the color of the drawing instrument used, so he could not have been describing the cartoon. I have read differing reports describing the damage to the painting, based on historical documents, which claim that the difficulty actually related to the paint not drying properly. It is said that da Vinci tried to dry the paint with braziers, which overheated the base painting near the braziers, causing the base under the paints to melt and run. Or, the damage was “high up there” in the painting because the heat couldn’t reach the higher parts and they intermingled. Either of those versions differ significantly from Vasari’s. There is some reason to believe, however, that the painting may have been in a state worthy of today’s effort to find it, even in Vasari’s day. In 1513, just after the Medici had returned to power, the palace records note the purchase of a large amount of wood to protect Leonardo’s painting from soldiers barracked in the room. Not only is that an indication that there was something worth saving, it should be pointed out the Medici were in fact putting effort and money into protecting a painting that celebrated a victory by their enemy. I often cite the author Anton Francesco Doni, who in a letter dated 1549, wrote ‘And having climbed the stairs of the Great Hall, diligently take a look at a group of horses and men (a battle piece by Leonardo da Vinci), which will strike you as a miraculous thing.’ He did not describe the painting in tragic terms-- he described it as “miraculous,” not too many years before Vasari covered the walls with his bricks. We know what the painting looked like because a number of copies were made, probably from the original on the wall. An interesting characteristic of many of them is that they consistently show the painting in an incomplete state--the rider on the horse to the right, the leg of the grounded fighter on the left, even the flag on the mast of the standard itself--all missing, most likely representing blank spaces begging for paint in the original wall painting. On some copies they are lightly traced into the scene, in contrast with the more heavily detailed parts of horses and other warriors elsewhere. The only reason I can think of for such consistent omission is that they were copying the original painting, and being faithful to its omissions. Copies based on the cartoon would have been complete. It might even be considered that the lightly traced parts of the copies reflected the cartoon transfer left on the wall when da Vinci abandoned it. Some of those copies date to the mid-16th century. None of those copies carry suggestion of damage to the painting other than its incomplete state. 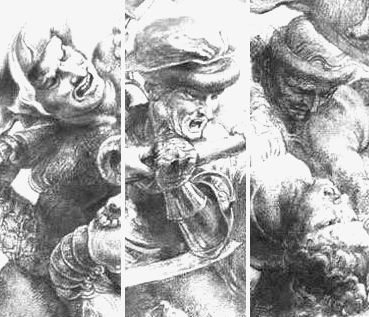 In Rab Hatfield’s book Finding Leonardo, he makes the case that the clash of horsemen was one scene from a larger mural, positioned closer to the bottom of the frame, with unimportant space above it. Is it possible it was the unimportant space that was ruined, leaving the battle in better shape? All of this suggests to me that the painting, or much of it, very well could have been in fairly good shape even when Vasari remodeled the hall. So, what if the painting was secreted behind the wall, in the gap, but continued to deteriorate throughout the passing centuries? If it flaked off and fell to the bottom of the gap, that accumulated paint will give off very nice gamma ray signals and will be easy to locate. At that point, I would assume we would excavate, recover the flakes (which, being oil based, hopefully will have retained their form fairly well), micro-scan them and have some software written up that will put it back together like a jigsaw puzzle. I don’t mean to make it sound easy, but I don’t see why it couldn’t be done. 3PP: Leonardo is perhaps the most famous artist in the world. The target goal is astronomically large. It would seem natural for this project to be sponsored by corporate entities such as seen when Michelangelo's David was cleaned. Why is this a crowdsourced project? DY: The Kickstarter goal is only the budget for my part of the project, the gamma camera technology. The overall project budget is higher. We have looked for individuals and entities capable of funding it for the last three years, with little luck. With a probable window of opportunity to do the testing in the Hall of 500 fast approaching, we need to find the funds for the gamma camera components soon in order for them to be ordered, built and tested in time. I asked National Geographic to help me try a crowd funding effort--part experiment, but also based on a genuine, timely need. We are still looking for sponsorship by entities with the capacity to support the project, but with no solid leads, and a time crunch, we felt it was time to try something unconventional. It is also the first part of an effort to build a following for the story, to bring people along for the journey, online, as it unfolds--rather than hold everything in the dark until publication. 3PP: If the project demonstrates a working camera that can detect pigment through walls, this would be of undoubted practical use in many applications, including archaeology, conservation and engineering. Why have no large firms interested in patenting or developing this application stepped forward to sponsor the project? DY: Argonne National Laboratory holds the patent on the technology, and Dr. Smither is developing it for use in tumor imaging and space telescopes. Argonne is very interested in the effort, but funding this kind of project is not what they do. The copper crystal lens technology is not very well known. And, we have no-one committed to fundraising. However, I don’t know why this project is not funded, other than the stark but empty fact that to date nobody has offered. 3PP: You have photographed for National Geographic - whom commonly sponsor projects with the proviso of an exclusive report. What is NatGeo's position in this project? DY: The Missions branch of National Geographic Society sponsors hundreds of scientific and educational projects a year. The scientific director of the project, Maurizio Seracini, is a National Geographic Fellow. As a freelance photographer, I cannot speak for the society, but I can say NGS has invested considerable funds in the project, and will contribute more, once the rest of the money is found. Their support and agreement with the city to finish the research has been pivotal. 3PP: Professor Seracini demonstrated the variable gap between walls. Apart from the preservation of Leonardo's work, can this instead be a result of a decision by engineers of the day wishing to preserve an intact support structure, as commonly occurred in refurbishment of old buildings, particularly in the 16th century? DY: I’m not an architect of engineer, but it’s unlikely they would have separated the brick wall from the original stone wall only in the area of that painting for any other reason. The gap does not exist anywhere else in the hall, and separating the brick wall from the original stone would have only made it less stable (perhaps as evidenced in the large crack visible only in that part of the wall). It is more likely a combination of convenient factors--Vasari wanted a new, smoother surface to paint on than could be offered by the stone wall, and the walls needed to be reinforced to support the raising of the roof. We see no reason Vasari would have had to destroy the painting under those circumstances. In fact, it was under similar, earlier, circumstances that on at least two other occasions Vasari preserved the works of lesser artists than da Vinci. 3PP: It seems likely, that even if any remnant of this work was found, it would not be in a pristine state. Does this justify the cost of assembling this camera? Would it not be more appealing to offer significant project contributors a stake in future uses of that camera? DY: I don’t share your assumption that (if there) it is necessarily in a bad state. If, as I argued earlier, the painting was in good shape when it was sealed behind the wall, that isolation may have helped preserve it from many factors that could have damaged it over time--weather, vandalism, or, dare I say it, restorers? I really don't want to make a habit of forging headlong into areas I'm ill-suited to navigate (gamma ray physics, fundraising), and this would be another one. Regardless, the technology belongs to Argonne NL and Dr. Smither, and considering it is being developed to someday image cancer tumors at finer resolutions than is currently possible (allowing surgeons to better know where the cancer filaments are, how much tumor needs to be removed, etc. ), the thought of offering the camera's future potential--property that isn't mine--never would have occurred to me. 3PP: Art historians are often unaware, unaccustomed to or blatantly suspicious of scientific modalities. Professor Seracini's own experience with art historians has been problematic in the past. What has support from art historians for this project been like? DY: I’ve had little exposure to art historians on this project, but the feeling I get is that the general attitude is to go ahead and have a look. Why not? *This famous Rubens drawing is dated c.1603 and believed to be a copy of a 1558 engraving made by Lorenzo Zacchia. 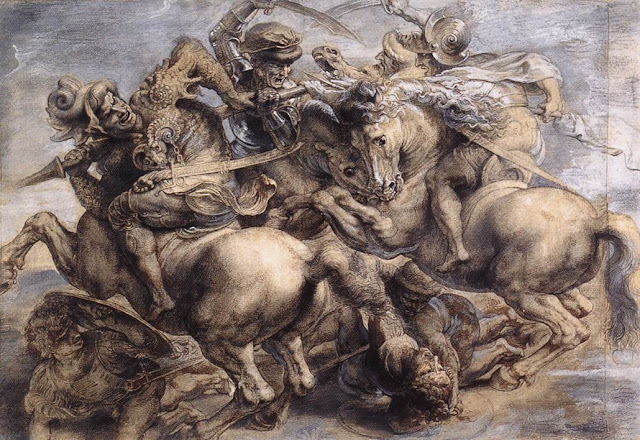 There is no evidence to suggest Rubens sighted the original cartoon or the painted version of Leonardo's famous battle mural. Earlier drawings are known to exist, see above documentary excerpt and references for more information. Many thanks to Dr. Edward Goldberg for forwarding the March 2012 update source article with a summary in English. Great interview! If this goes ahead it would be a great event not just in art history but history, period. I don't find it staggering that technology like this exists, it really is true that advanced technology really is indistinguishable from magic. Cheers for the comment! The great beauty of the proposed camera in this instance is its non-invasive nature - able to detect pigments without requiring the harvesting of a sample. This type of approach is surely the way forward in conservation and research. Oh, it's so nice to have you posting again, H! Like always, you've written a really interesting and compelling post. Many thanks for the kind comments M- it is nice to back posting after a recent difficult period. Hi H! We're thinking along the same lines these days! Brenda, our managing editor, actually met David Yoder and interviewed him in person; he approached us for help with his kickstart campaign. We hope he manages to raise all those funds! OF course the whole story is much longer than what we can put in the paper. Thanks for citing the book Finding Leonardo. Hatfield was my professor at SUF, and I worked as his head TA for a while. I remember when he first came up with where to find the Lost Leonardo - he took us to the Palazzo Vecchio and showed us. I'm afraid shipping is rather high to Australia but there is a 10% discount code I can offer all readers here: enter LAUNCHTFP at checkout! Hi Alexandra! Nice to see you back at 3PP in your new role after TuscanyArts. Many thanks for the comments - how lucky you got to work with and learn from Mr. Hatfield, truly one of the most fascinating characters in Renaissance studies! Thanks for the discount code for the readers - I've already ordered my copy! Shipping wasnt too bad, as it's not one of those hefty catalogue volumes.